The world’s population is set to increase from seven billion people to more than nine billion in the next 40 years. In order to meet this growing demand, agricultural producers will have to increase food production by a staggering 70 to 100 percent. This all needs to happen in a world with increasingly unpredictable weather patterns, ever-rising farm input costs, and limited land to grow on. In response to the overwhelming need to produce more with less, farmers have learned that by collecting data over their fields they have the ability to make better decisions, decreasing inputs and increasing outputs. Historically, farmers have used aerial surveying methods such as satellites or manned aviation to collect their data, but have always run into issues such as high costs, untimeliness or poor ground resolution. Farmers currently live in a world where they receive data once a month at 0.5 to 1 meter per pixel, at almost unjustifiable prices. With the advent of unmanned aerial vehicles, more commonly known as drones, farmers are now able to collect data on their own, at a fraction of the cost, on-demand and at ground resolutions of sub 1 cm per pixel. The addition of drones to a farmer’s arsenal of farm equipment will augment farm management practices and as a result, makes them better decision makers. In 2014, AUVSI (Association for Unmanned Vehicle Systems International) stated that agriculture is predicted to reap the greatest benefits from the use of drones. With remote sensing capabilities, farmers are getting smarter about resource allocation. For example, by evaluating crop health and knowing which sections of a plantation are problem areas, farm managers can decrease pesticide and water use through more strategically positioned applications. Another use case is weed detection. During the growing season, weed detection and management is deemed as one of the most taxing and crucial elements of a farmer’s workflow. In estimation, U.S. farmers annually spend $3.6 billion on chemical weed control and $2.6 billion for cultural and other methods of control. Traditionally, the only way to spot weeds is to visually inspect if they are present. For farmers who own large fields, this is time consuming – and time is an expensive commodity. 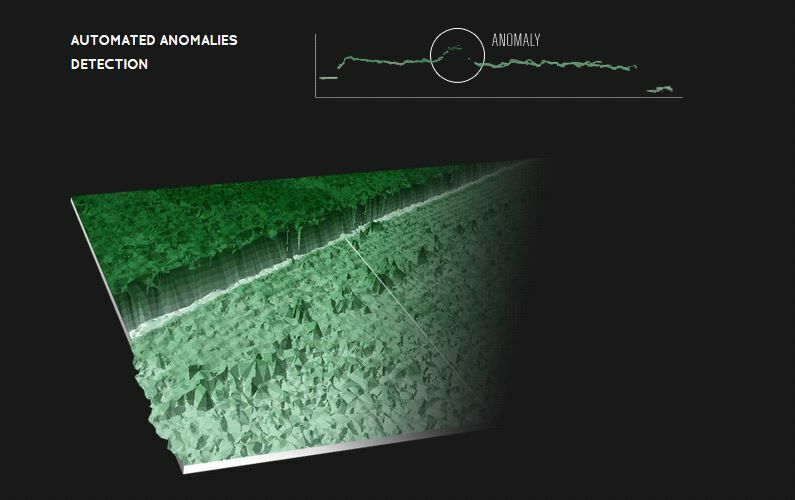 The use of a UAV allows for the quick and frequent visualization of fields and consequent analysis through anomaly detection to immediately identify areas where weeds are prevalent. Crops are generally of uniform heights; so sudden dips or peaks in the profile denote the potential presence of weeds. This addresses the problem by (1) immediately identifying weeded areas and (2) allowing the farmer to act in a targeted manner. Plant stand counting is another great example. A seemingly basic problem that farmers and agriculture companies alike are asking this new, aerial technology to solve. Again, the traditional way of doing this would be to manually count a certain area of the field and then to extrapolate the total losses from data on that area. Plants that emerge later than others can cause all sorts of havoc in the growth of the plants beside it. Normally growing plants will eventually overshadow late-emerging ones, depriving them of the necessary sunlight to grow properly, among other issues. The eventual decision for the farmer is to either intervene and replant or simply let go and live with the losses, but this is done on a per-plant basis. Clearly, there are very important decisions that have to be made from stand count information and current strategies of doing so are simply time-consuming and imprecise. UAVs provide a novel alternative to the traditional method of stand counting. 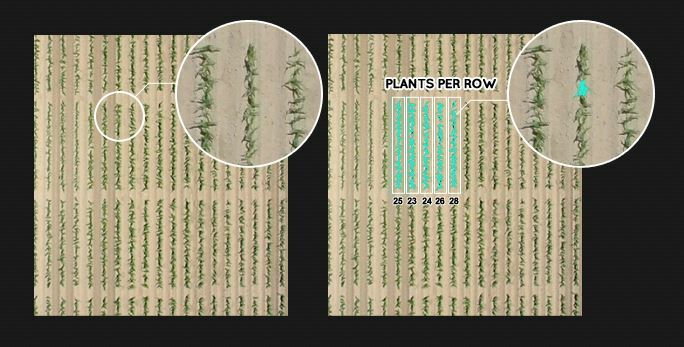 Instead of manually counting only a percentage of the total field, UAVs equipped with a high fidelity visual sensor allows the farmer to survey the entire field in the fraction of the time they would have used to do stand counts in a limited area and literally count each plant using automated algorithms. On top of these few examples, UAVs offer a plethora of agricultural applications such as trait assessment, canopy profiling, plant health measurement, water quality assessment, vegetation index calculation, full spectral sensing, and mineral and surface composition surveys. Beyond agriculture, UAV technology is used to remaster an assortment of billion dollar sectors in oil and gas, insurance, emergency response, and mining. Because of its multifaceted properties, UAVs are ripe to become one of the most impactful innovations spanning a multitude of key industries across the globe. As an emerging technology, one of UAVs’ most important assets is the ability to integrate within an existing workflow. These flying robots should be an additional tool, like a tractor, and users should not be required to build a process from the ground up. At PrecisionHawk, our customers, ranging from individual producers to global ag companies, are given the advantage of adopting an end-to-end model that combines hardware, remote sensing and cloud-based software to close the gap between collection and analytics. At the end of the day, the UAV is just a more cost effective and efficient way to put better information into the hands of the right people at the right time. It’s all about the data. How is the data processed and managed and turned into something that is ultimately… useful? There is no doubt that the benefit to this technology is huge, and many different business models have emerged as a result. However, as farmers begin to adopt new methods for increasing production to feed a growing world, education is crucial. Anyone can fly a drone to take pictures over their fields, but the value lies in quality data, turned around quickly into actionable information. The power of more information will revolutionize the entire agricultural industry, and commercial use of these tools across Canada has a head start due to favorable regulations. As producers plan for the 2015 season, our team at PrecisionHawk encourages you to seek out more information on a system (from collection to analysis) that can supplement your workflow. As PrecisionHawk’s founder, Dr. Earon, shares more on this topic during the ADM Farm Expo, please do not hesitate to come meet with him to dive deeper. This article was distributed at the 2014 ADM Farm Expo on November 26.